Although Mexico had prospered under the thirty-four-year dictatorship of Porfiro Diaz, social tensions were bubbling below the surface, leading to the Mexican Revolution (1910-1920). When Francisco Madero organized a revolution in November 1910, his middle-class supporters were crushed by Diaz’s ruthless intelligence apparatus but the uprising unleashed powerful social forces. In the northern states of Chihuahua and Coahuila, Pascal Orozco and Pancho Villa led a revolt by villagers tired of the iron grip of the Terrazas clan, local oligarchs. Rebellion had broken out in the southern states as well, and one of the more effective leaders was a village chief in Morelos named Emiliano Zapata. Faced with rebellions in eighteen states, Diaz resigned on May 25, 1911, and fled the country. Madero shocked his supporters by refusing to purge the government of Diaz loyalists. An idealist, Madero hoped to win over the army and the elite, but they conspired with Generals Bernardo Reyes and Felix Diaz, the dictator’s nephew, to launch a coup in February 1913. Madero mistakenly placed his trust in General Victoriano Huerta, who switched sides, deposed Madero, and then betrayed Diaz by making himself president. Lee Arnold (Robert Mitchum), an American pilot, is hired to deliver machine guns to the colorados, who are trying to overthrow President Madero (Alexander Knox), but are opposed by Pancho Villa (Yul Brynner), who is viewed as a bandit in the United States. 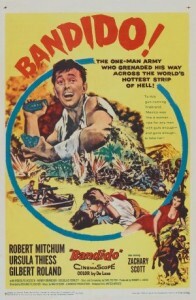 Arranging for his plane to be repaired in a nearby village, Mitchum falls for the daughter of the village blacksmith. The colorados suddenly raid the village, and the blacksmith and the leading men of the village are arrested. The villistas (Villa’s followers) catch the colorados by surprise but are too late to save the village men from being hung. Villa figures out that Arnold was running machine guns to the colorados, and forces him to fly for the revolutionaries. The fight against the colorados is led by General Victoriano Huerta (Herbert Lom), but Villa does not trust Huerta. Unwilling to believe Villa’s fears that Huerta will overthrow the government, Madero pays a heavy price for not heeding Villa’s warning. The opening credits roll over beautiful photos taken during the Mexican Revolution, including the real Villa and villistas on trains. Unfortunately, the movie does not live up to those images. The colorados are uniformed soldiers while Villa’s men are dressed like guerrillas, so the viewer would be excused for thinking that the colorados served the federal government and Villa was a rebel. Actually, the colorados were followers of Pascal Orozco, who had fought for Madero against Porfiro Diaz. The revolutionary army in Chihuahua had been demobilized with little pay and less thanks. Even though pensions for the families of soldiers who had died fighting in the revolution had been part of the treaty that had ended the revolution, the government did not take care of the families of dead soldiers, and the hacendados (owners of large estates) remained as powerful as ever. Dissatisfaction brewed but Orozco had waited until he had ensured that he had sufficient backing to face the federal government. When the Terrazas offered to provide the necessary financial backing, Orozco led a revolution on March 2, 1912. The Terrazas faction considered the middle-class led by Madero to be the greater threat, and they hoped to use Orozco and his troops to end that threat. Orozco’s motives are less clear, since he must have realized that the Terrazas would turn on him eventually. However, he had never been a true revolutionary, but had sought position and wealth. When Madero turned him down, he approached the Terrazas. Although Villa and Orozco had fought together during the revolution, Villa remained loyal to Madero, and led his guerrillas to help a federal army commanded by General Victoriano Huerta defeat Orozco. It is as if the screenwriters had crammed all of the highlights of the revolution into a movie about one campaign. The screen Villa employs deception to capture Parral by seizing a train, and then bluffs his way into the city by claiming to have been attacked by bandits. Parral is standing in for Ciudad Juarez, which Villa had taken during the fight against Huerta, not during Orozco’s rebellion. Ciudad Juarez was a risky target, since it bordered El Paso, USA, so Villa needed to take it by surprise to deny the Americans an excuse to intervene. This was not an idle threat. Tired of instability on the border, President William Howard Taft had sent 34,000 soldiers to the Rio Grande during Orozco’s rebellion to warn Madero to get the situation under control. Hoping to eliminate Villa as a rival, the fictional Huerta sends Villa’s men on a suicide mission, but Huerta knew the value of Villa’s cavalry during the campaign against Orozco, and the two men worked together as smoothly as could be expected given their conflicting personalities. A violent, intolerant alcoholic who was always angry, it was no surprise that Huerta did not get along well with the dynamic, teetolaller, hyper-emotional Villa. The surprise is that they did not immediately kill each other. However, Huerta did send forces loyal to Madero on suicide attacks during Felix Diaz’s coup attempt in order to weaken Madero’s forces in the capital, thus paving the way for his own coup. While Villa did become skilled at the use of railroads to move his army quickly, and numerous foreign mercenaries served in his army, he never had any pilots, foreign or Mexican, flying for him. Barbed wire was not employed until later in the revolution, after it had already been introduced during WWI. The screen Madero is stronger than the real man, who refused to consider the idea of betrayal. More important, the genuine Madero was not very fond of Villa. Huerta did arrest Villa on a trumped-up charge, and he was spared execution only because an officer stalled the execution long enough for the arrival of a telegram from Madero ordering Villa to be imprisoned instead. 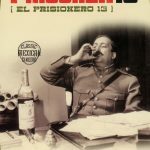 However, Villa spent about five months in jail, not one night, because Madero was unwilling to defy the army to protect an officer he did not particularly like. Villa had escaped before the coup and ended up in El Paso, where he waited patiently for an amnesty. After hearing of Madero’s murder, he did cross the Rio Grande with only seven or eight men, the exact number is still unclear. Yul Brynner’s refusal to play a flawed leader ensures that his Villa is a two-dimensional hero. Unwilling to actually act, Villa’s mercurial personality has been replaced by Brynner’s stern, unsmiling hero. The real Villa broke down and cried in front of the execution squad but Brynner felt that his fans could not accept such behavior. Villa’s habit of forcing women to sleep with him has been removed from the script, instead the women are willing and the screen Villa marries them simply to make them happy. Charles Bronson is a terrifying Fierro. At one point, he promises a group of captured colorados their lives if they can run across a field and climb a wall before he shoots them. The scene is brief but the real Fierro had three hundred men pushed through the gate of the corral in groups of ten for two hours. The sole survivor owed his life to a cramp in Fierro’s trigger finger. Later, Fierro kills three men at a time with a single bullet, which was also based on an actual event. The scene where the supposedly fearless Fierro looks at the plane, considers it for a moment and then refuses to get in is genuinely entertaining but it humanizes a psychopath who loved killing and was feared equally by his enemies and comrades. 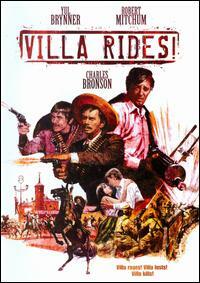 Yul Brynner had already been signed to play Villa before Sam Peckinpah was hired to write the script. If the script impressed Brynner, producer Ted Richmond promised Peckinpah that he would become the director as well. Two successful television movies had started to revive Peckinpah’s career after the financial disaster of Major Dundee (1965), his third theatrical film, but he knew that he needed a hit, so he immersed himself in the Mexican Revolution. The resulting script portrayed Villa as a flawed leader who employed savage methods in the service of a good cause. However, Brynner felt that Villa was written as a bad guy, and he would not play a bad guy, so Peckinpah was immediately taken off the project, and Buzz Kulik was chosen to direct the film. Since most of Peckinpah’s script was shredded, Robert Towne was brought to Spain, where he had to work quickly to produce a script, and much of the dialogue was written while the movie was being filmed. Robert Mitchum’s character had been introduced by Peckinpah to satisfy the studio’s desire for a white face, so he produced a mercenary without direction or ambition, who would come to believe in the revolution. Unfortunately, Mitchum’s version of the aimless character is also missing any spark of life. It would be polite to describe Robert Mitchum’s performance as understated, but wimp would be more accurate. It is one of Mitchum’s worst roles, and he never seems to believe in his character. Herbert Lom’s portrayal of Huerta is effective but he is not hard enough, although he is always shown drinking cognac. 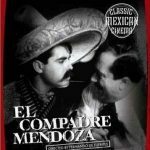 A weakness of the movie was the decision to film in Spain, instead of Mexico, where many survivors of the revolution still lived and it was part of the national consciousness. The success of Sergio Leone’s Spaghetti Westerns had rocked Hollywood, and the studio clearly hoped to copy Leone’s formula by shooting a Western in Spain, the location for Leone’s films. The shooting was far from smooth. Suffering from a bad back, Brynner had to be lifted onto horses, which made filming a movie about a famous cavalry leader difficult. Brynner and Kulik shared a mutual contempt for each others’ ability, while Mitchum was not especially fond of Bronson. Mitchum and Brynner enjoyed each others’ company and the Spanish nightlife, which left little energy for the movie. Towne later commented that no one involved in the film really wanted to make the movie, which explains the lack of passion throughout the film. It is hard to imagine a Robert Mitchum film where I have zero emotional involvement. It is really not enjoyable, the direction is mediocre, the script is lame, and the only interesting actor is Bronson.